In 1794, the Atlantic Ocean was a battleground. The French and British were at loggerheads, and the British Navy, with the support of Spain and the Netherlands, was blockading French ports. Amid the chaos, Massachusetts' James Swan saw the opportunity to make a fortune. Swan was an important force during the American Revolution. Originally from Scotland, he had come to America as a merchant and financier. He had participated in the Boston Tea Party, was wounded at the Battle of Bunker Hill and had helped fund the Massachusetts militias in the early days of the war. 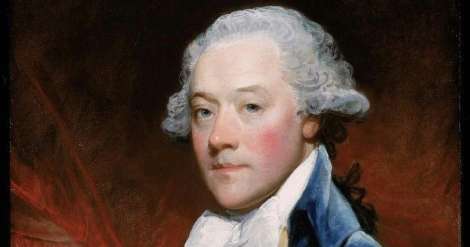 After hostilities ceased in America, Swan became an investor, buying land in Maine (Swans Island, for example), real estate in Boston and speculating in properties previously owned by loyalists. But his investments were hit hard in the economic recession that followed the war, so much so that he feared bankruptcy. Swan therefore turned his attention to France. Armed with introductions from a few French acquaintances, he journeyed to Paris. There he began studying the French language, its industries and its raucous politics. France was, at the time, heading toward a 10-year period of great turmoil brought about by the French Revolution. The overthrow of the king and establishment of a republic was quickly followed by the Reign of Terror. Church leaders and members of the aristocracy were beheaded by the thousands. But Britain and her allies turned against the new republic and started a blockade. The radical new leaders of France needed supplies for the military and food for the people. And by 1793, Swan had positioned himself perfectly. Swan had a cardinal rule in business. He always dealt with the leader of any organization he approached. If a company or political organization was reluctant to show him into the offices of its chief leader, he politely moved on. In this way he collected an impressive range of contacts. Swan had learned a thing or two about acquiring goods during wartime, and he assured the French that they could find food and supplies, even from their British and Dutch "enemies," if the terms were right. Pay a decent price and assume the risks that cargoes would be seized and they would have all the supplies they needed. Accept delivery at the port and ask no questions about where a shipment was coming from, he advised, and allow delivering ships to slip away quickly. Dutch and British merchants would not want to be identified trading with an enemy. But Swan assured his French contacts that if they could do so secretly, British and Dutch merchants would be glad of a good return on their sales. Still other cargoes could be obtained by having a British- or Dutch-flagged ship stray close to French waters and allow its cargo to be "seized," with payment made through back channels. Swan was now in the enviable position of having extensive connections with suppliers in America and elsewhere and a new-found knowledge of French markets and import procedures. The French government created a commission to procure food supplies and it appointed Swan as an emissary to America. He was instructed to purchase food (the country needed tons of flour), lumber, leather and other goods. In return, Swan was offered French goods to dispose of in America. The belongings of the now-missing French aristocracy could be disposed of in America, where luxury goods were highly sought after. French fabrics, furniture and wines could be exported. Precious metals and gems seized from churches and wealthy aristocrats could be converted into hard currency. And all Swan asked for his services was a two percent commission on the transactions. The crafty Swan managed to shift the form of his operations as the French government went through another jolting transition and in 1794 and 1795 transitioned away from the food supply commission to a more market-based approach to importing foods. Swan was not the only American supplying the French, but probably was its biggest supplier, using his vast array of connections with American ship captains to keep France fed and functioning. Yet there were challenges to Swan's efforts. When the French entered a market as buyers, prices rose dramatically. Swan developed his own methods for trying to counter this. He would make a purchase and then hold off to give prices a chance to drop before placing more orders. But this created complaints from his customers that supplies were not steady enough. Further, there was the British Navy to contend with. The British were well aware of American involvement in supplying the French. Swan would "neutralize" his ships by making sure they were flagged in America, or another neutral country. But the British still seized American cargoes. Roughly one in seven of Swan's vessels were impounded. His agents operating in Britain had a good track record of winning the ships back and receiving compensation for the cargoes, but the process was time consuming. In addition, he faced a limited market in trying to dispose of luxury goods in America. Further, French credit was very limited. In late 1794, the French came up with a new idea to fund their need for imports. The French government had extended loans to America during the Revolution. During the recession after the war, the Americans had stopped making payments and the loans were considered virtually worthless. But with Alexander Hamilton's guidance, the American Treasury had stabilized, and these loans were once again viable. The French authorized Swan to negotiate with America to sell back these loans to generate needed cash in 1795. Swan put together a deal with U.S. Treasury Secretary Oliver Wolcott whereby the American government issued new shares to raise money to repay the French. Some in America resisted buying the new shares (which had a value of more than $2 million to be repaid at 4.5 to 5.5 percent interest), but Swan found a ready market in Britain. British investors either did not know (or did not care) that in buying the American shares they were actually funding the French government. During his years in Paris, Swan managed to put his affairs back on solid footing (and then some). But French and American relations soured as America made alliance with Great Britain and Swan's opportunities lessened. His wealth restored, he would return to America and turn his attention to building his Dorchester, Mass. mansion and his American investments. Swan's life took one more bizarre turn. On a return visit to France in 1808, Swan was accused of failing to pay a reasonably insignificant debt. He insisted the money was not owed, but the French courts disagreed and had him imprisoned. Swan instructed his wife that she was not to repay the debt. Instead she funneled him a small fortune so that he was imprisoned in a luxurious lifestyle throwing large parties at his prison apartment. If his enemies thought Swan would yield they were wrong. He remained in his "prison" for 22 years. There are different theories about how James Swan died. He most likely was released from prison in 1830 as the result of a debt-forgiveness act by the government and died the following year, a free and wealthy man. Thank to: James Swan: Agent of the French Republic 1794-1796, Howard C. Rice, The New England Quarterly.